As Dr. Wilson so gleefully pointed out today, the last several blog posts have been about fossils. I think it’s about time for a change of subject, don’t you? 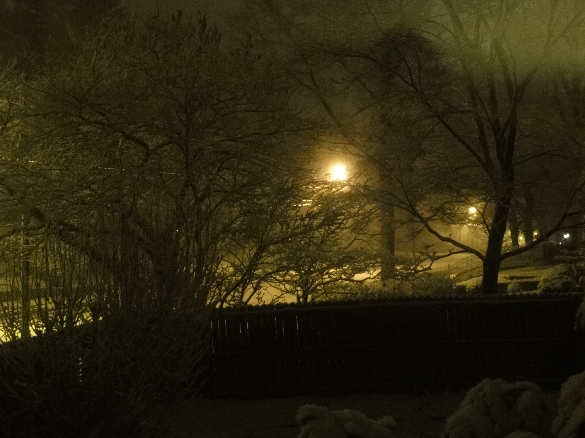 A view of the snow covered street from my living room. I had to take the picture tonight because Dr. Wilson would have undoubtedly beat me to it in the morning.